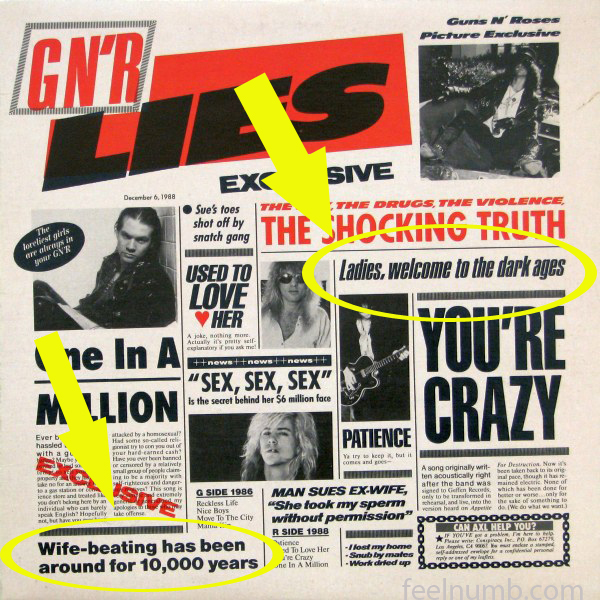 “Wife-beating has been around for 10,000 years” and “Ladies, welcome to the dark ages“. And here is the censored version using the replacement lines “LIES, LIES, LIES” and “Elephant Gives Birth To Midget“. 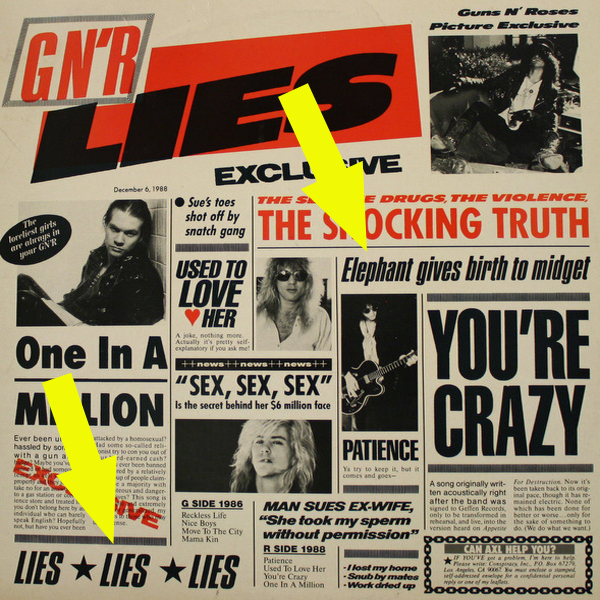 It’s crazy that Axl Rose who has been accused by several ex-girlfriends of domestic abuse would put those statements on an album cover. Cocky to say the least.